The winter transfer window is now officially closed. Much to the delight of fans, teams have strengthened their squad by bringing necessary reinforcements. The new players will look to settle in their new teams as quickly as possible and have an impact on the performances of their respective squad. Ideally, it takes time for players to go into a new club and settle in the mid-season. That is one of the reasons why few teams prefer securing the services of players in January although they will join the club in the following summer. Despite the fact that anything can happen in football, there are few players who will be massive successes in their new teams if they can fulfil their potential. The transfers obviously suit them and the teams will only be benefited by these signings. Without further ado, let us take a look at three signings in the transfer window which will be a huge hit in future. 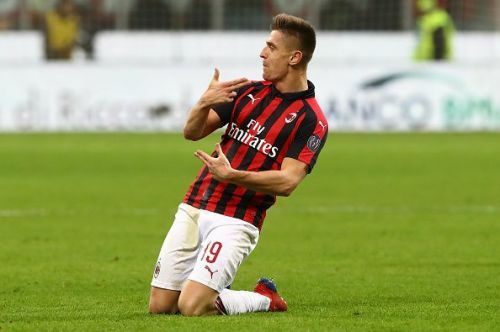 Arguably, the biggest winners of the January transfer window is AC Milan, who replaced Gonzalo Higuain with Krzysztof Piatek. The Rossoneri forked out £35m to sign him on a five-year deal. The 23-year-old has been a sensation at Genoa this season, scoring 13 goals in the Serie A so far. There was no doubt why Krzysztof Piatek was linked with Europe's top clubs. The young marksman has proven decisive for Genoa since his arrival at Italy. His performances helped Genoa avoid the relegation zone so far and prosper in the Coppa Italia. His exploits helped him give a tough competition to the likes of Cristiano Ronaldo, Mauro Icardi and Ciro Immobile in the race of the league's top goal scorer. Piatek's brilliance in front of goal with such a low support system is extremely rare and there is no doubt that Milan will be benefited from his arrival at the San Siro. He has already scored twice in the Coppa Italia for Milan which saw them defeat Napoli and go through to the semi-finals. 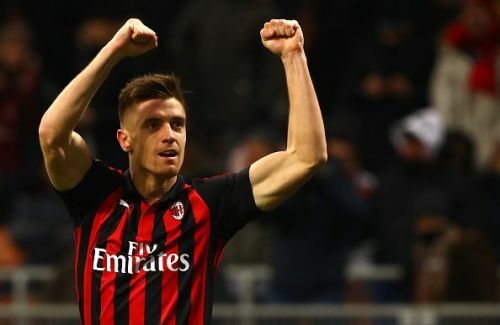 It remains to be seen how the Piatek fares till the end of the season but he has made a strong start to his career with Milan which is why he is already a crowd favourite.